It's interesting how video games continue to evolve. We've come a long way from the only story elements in the game being the basic premise alone and little else. Now we see more and more games trying to integrate a rich story to give more purpose to the core game mechanic. And this has been particularly prominent in several titles released by Naughty Dog. The Last of Us has gotten a lot of great press for being a game that goes way beyond the level of story experienced with other similar games. There are already talks of the game being adapted into a movie with Maisie Williams starring as Ellie, which is saying a lot given her Game of Thrones fame. But to give credit where credit is due, the game is pretty riveting even just to watch - and you don't see too many games like that. I keep encountering stories of groups of friends or even family gathering around to just watch one person play through the game while everyone else keeps up with what's going on in terms of the overall narrative. And such shared experiences are something to be celebrated really, especially when triggered by a video game (despite prevailing negative stereotypes). Synopsis: The Last of Us is an action-adventure survival horror game that primarily employs a third-person shooter mechanic. 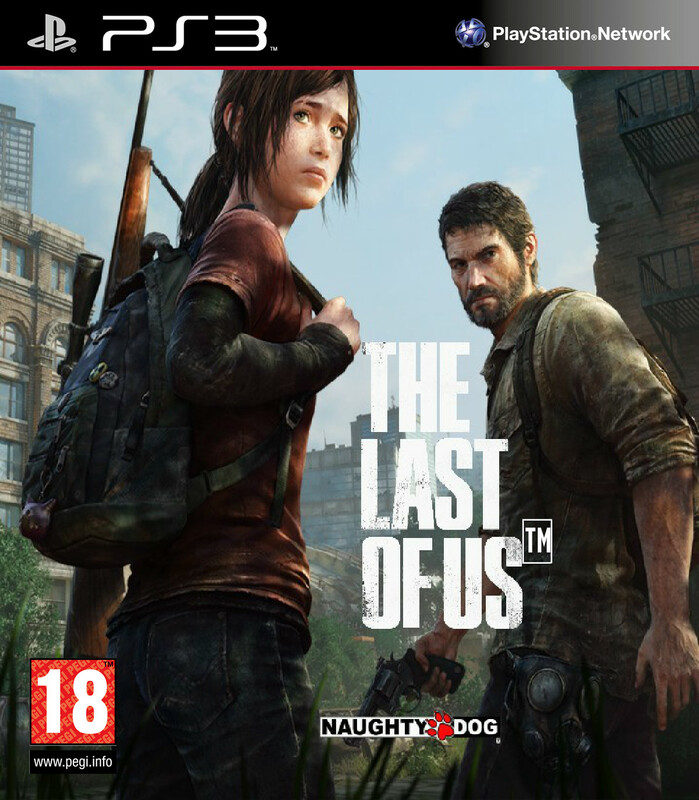 The game was developed by Naughty Dog for Sony Computer Entertainment. The game is set in a post-apocalyptic world where much of humanity has fallen to a mutant strain of the Cordyceps fungus that turns humans into zombie-like cannibalistic creatures. After an initial scene during the 2013 outbreak itself, we find ourselves with a much older Joel (Troy Baker) some 20 years later. He and his friend Tess (Annie Wersching) operate as smugglers in the Boston Quarantine zone and start out on the hunt for a stolen batch of weapons. When the find who had taken the weapons, the man reveals that the goods had already been traded with the Fireflies, which is a group that is rebelling against the quarantine authority. Joel and Tess then meet Marlene (Merle Dandrige), leader of the Fireflies, who offers a deal. In exchange for twice as many weapons as had been stolen , she asks them to smuggle a teenage girl named Ellie (Ashley Johnson) out of the Boston quarantine area into the hands of a group of Fireflies outside the city. Marlene provides no explanation as to why the girl is so important, but Joel and Tess agree anyway. Soon enough they discover the Ellie's real importance and find themselves on a much more significant mission that originally believed. The game's story is amazingly-rich, but more importantly it's very character-focused as opposed to merely being a much of events and challenges thrown the players way. Over the course of the game, it's unavoidable that you become more and more invested in Joel, Tess, and Ellie as you struggle to survive together against human and non-human threats. This is a very different world and it takes a lot of smarts and determination to survive. More importantly, the game doesn't just limit you to action sequences being distinct from story through cut-scenes. Each of the characters have a lot of passive dialog that they bring up naturally as you go through the various stages that don't necessarily move the main story forward but certainly give more depth and flavor to the stories of these characters. Over time, you come to expect Ellie's near-constant chatter and Joel's often terse replies as you get past various obstacles and find you way through the ruins of human civilization. This is not to say that the combat side of things was forgotten either. The core game engine (as seen in other Naughty Dog games like the Uncharted Series) provides for a wide diversity of play. Beyond different guns that you scavenge, you also get to use various improvised weapons and that bigger choice of trying to get through a group of enemies with guns blazing or simply trying to employ stealth to slip past them. The game also allows you to customize weapons (provided you find the parts) or even come up with new items as you learn different "recipes" (such as coming up with molotov cocktails) to expand your options in dealing with the infected. The mix of both human and zombie-like enemies also keeps things pretty dynamic since you need to develop different strategies for each. Humans naturally have weapons and sometimes armor, that makes killing them even trickier despite your own weapons. The infected come in different types - some that are highly sensitive to sound while others respond to motion. Sometimes you'll only have a few enemies to pick off at your leisure. Other times it will feel like the entire area is swarming with opponents, whether human or infected, and thus you have to find a way to get past all of them alive. The combat-oriented gameplay works seamlessly with the overall story in a really great way. The dialog feels authentic and not just inserted for the sake of exposition or something. The musical score helps drive the emotional moods the creators were aiming for but are unstated enough to drive additional tension when needed. And the game feels amazingly expansive given the size of the world that you have to explore and how it is both alien and familiar given the time that has passed. There's so much for you to explore and you're certainly given the freedom to dto so, provided your ammunition holds out long enough to survive any additional threats that you also find. The Last of Us is a wonderful gaming experience that showcases the unique brand of interactive storytelling that is only possible through games. The quality of the work is amazingly top-notch and I can't imagine anyone not enjoying the game's rich story no matter how difficult some of the combat situations end up being. Thus the game as a whole more than deserves a solid 5 moments of Ellie endearing herself to Joel and thus us players as well out of a possible 5.